disciplines together in the peace country. 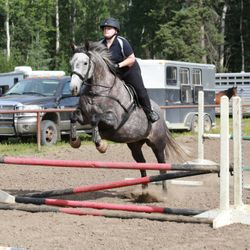 together in the peace country"
The club was formed in 1972 gaining its official non-profit society status for multi discipline equestrian sports. 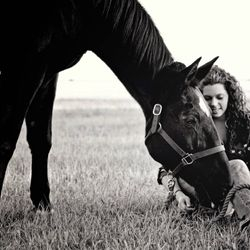 For the last four decades the South Peace Horse Club has provided a supportive and safe atmosphere for all levels of horse and rider combinations through various clinics, shows, wagon and trail rides. 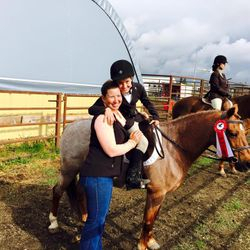 From conception of Evergreen Park we have built a strong partnership to provide a variety of opportunities for our club members to fulfill their passion with horses. 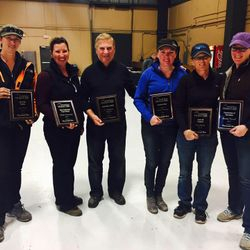 The partnership with Evergreen Park expanded club hosting shows and events due to the great footing and atmosphere no matter what the weather. 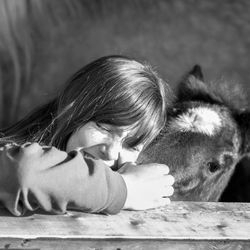 In the 90’s the club held the largest all breeds horse show for the peace region. 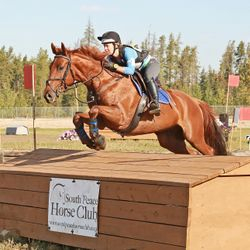 Since 1996 the South Peace Horse Club has worked closely with Alberta Horse TrIals Association (AHTA) to run a Three day event bringing riders and horses from all over Alberta and British Columbia. 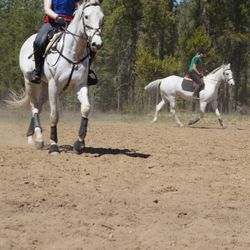 In eventing each competitor must show the ability to complete the phases Dressage, Cross Country and Stadium Jumping. 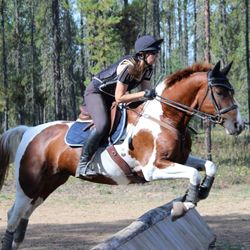 South Peace Horse Trials held the Alberta Championships for being the only Intermediate course in Alberta until past few years. 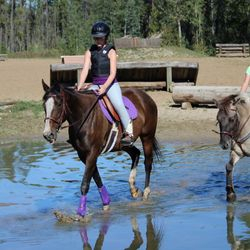 The South Peace Horse Club is a very busy group hosting clinics throughout the year to keep everyone fresh for training, pleasure or showing purposes. 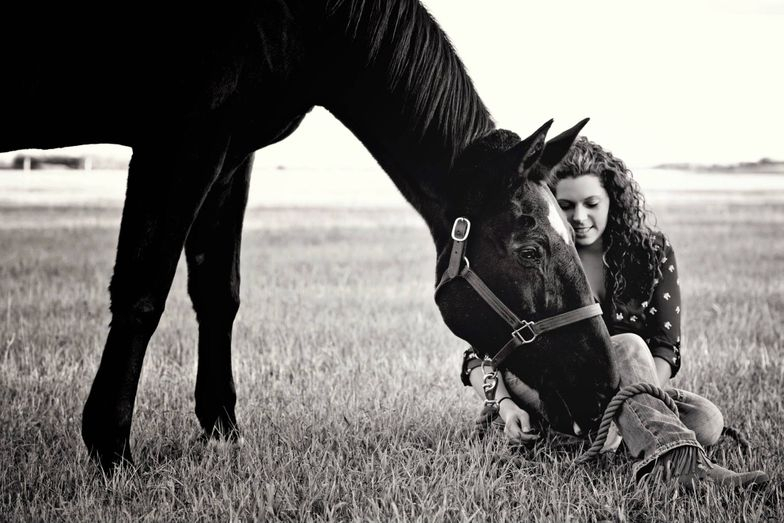 2015 has counted over 600+ hours of equine filled fun!! Our website calendar has all the information to get into the upcoming events. 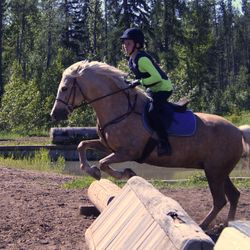 Proud to promote the Alberta Equestrian Federation and membership program. 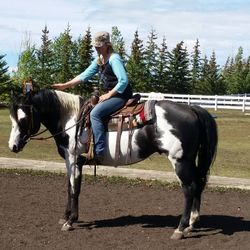 AEF offers so many rewards to new or seasoned horse people through out the province towards resources to find respectable facilities to ride, certified instructors, learning seminars as well insurance programs and so much more. Check out their website today to learn more on how to become a member! !